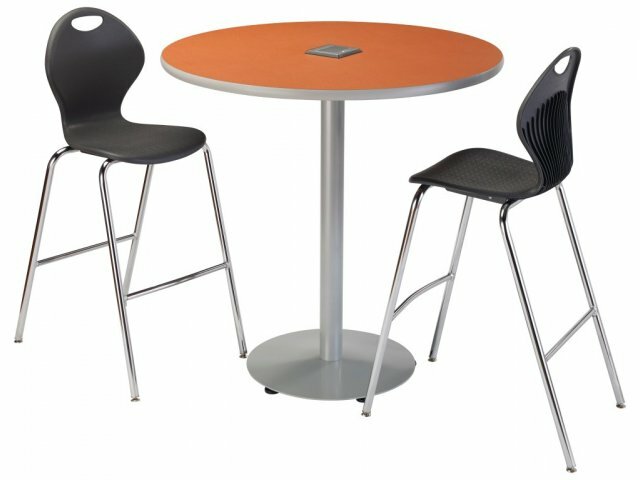 These counter-height café stools will enhance any area you put them in. 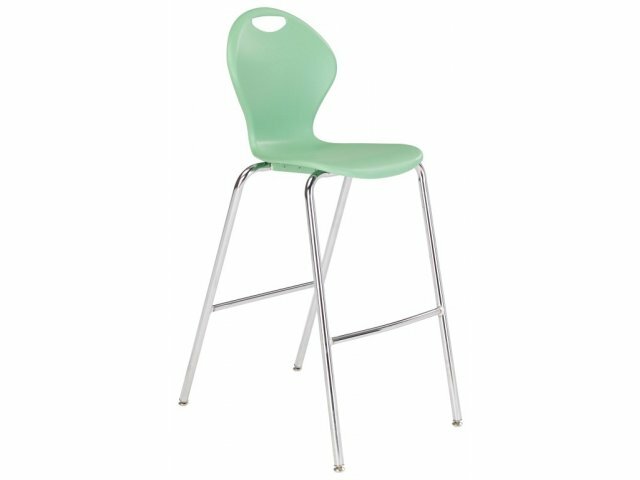 Give your students a boost with these contemporary café stools from Academia. 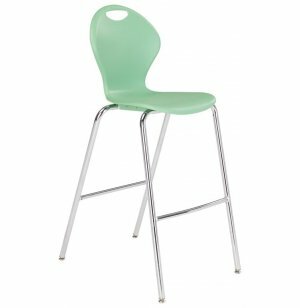 The straightforward contoured design will fit right into any modern eating or reading space, while providing healthy support to your students. The poly shell features subtly curved sides and integral lumbar support to promote proper positioning. 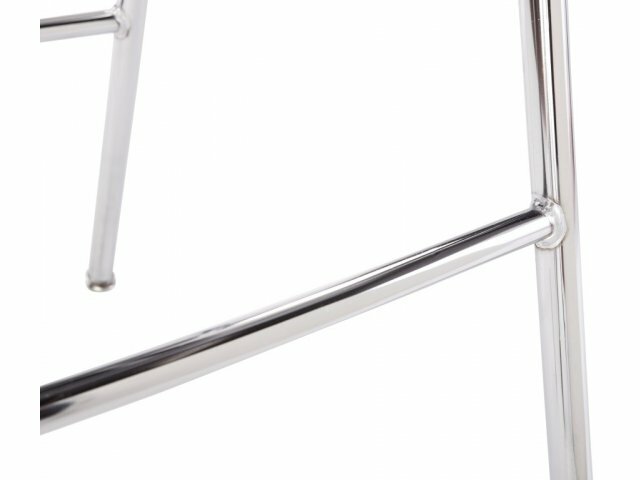 These café stools are built for comfort, convenience and durability. The fully-unitized frame has a foot bar, which provides leg support. With a built-in handle in the chair back, it's easy to arrange your space. These attractive contemporary café stools fit in perfectly with Boost Café Tables. Easy Arrangement: Convenient built-in handle facilitates easy carrying. 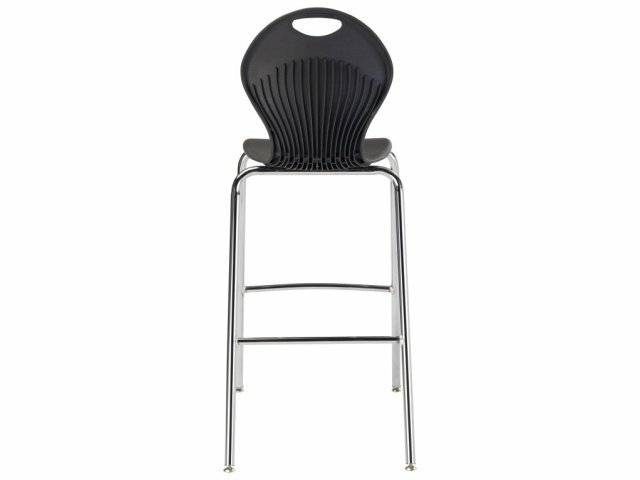 Ergonomic Design: Polypropylene shell has integral lumbar support and slightly-curved sides for comfortable sitting. Sturdy Frame: Supported by a fully-unitized, 14-gauge steel frame. Leg Support: Foot bar supports legs while seated. Stable Positioning: Stands on self-leveling nylon glides. 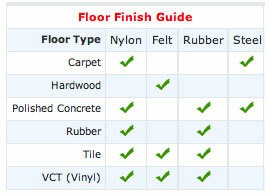 Optional felt, rubber or steel inserts let you enjoy optimal floor protection.